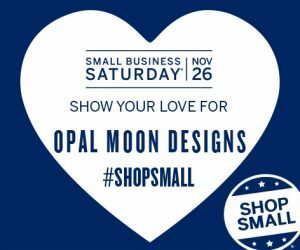 As a way to say THANK YOU to all of our customers, OM will be offering a #ShopSmall 1 DAY only SALE in support of Small Business Saturday on 11/26/16! 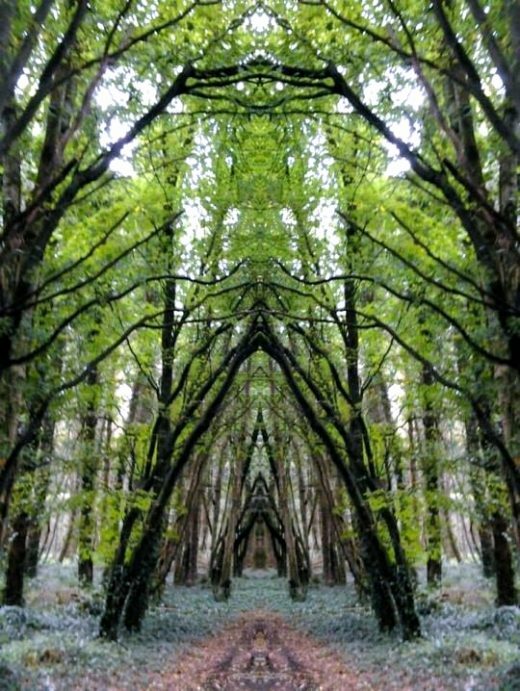 A landscape or scene with the strangeness, or mystery, charicteristic of dreams. I feel so refreshed and rejuvenated the entire season. It is for sure my favorite time of the year. I am currently working on my new designs for Holiday 2016/Winter 2017! Please standby for new photos and garments coming soon to my Etsy shop. My shop should be stocked with new Limited Edition pieces such as capes, cloaks, panel dresses, and vests by December 1, 2016. 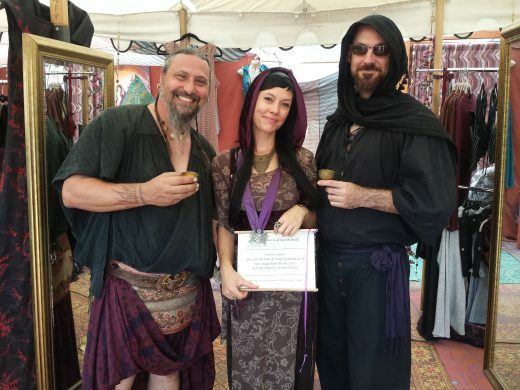 At the NORTHERN CA RENAISSANCE FAIRE for 5 weekends! ★ We won the Masterpiece Competition 2 years in a row (2014 & 2015), for Textiles Category, and Best Booth in Show! I wonder if we’ll win again this year? We will be updating our shop regularly this spring and summer with new designs for both women and now: MEN! ~Fit flows with your curves. ~Empire seam has tie to customize fit under bust. ~Detachable tassels adorn each side seam at end. ~Includes a large secret pocket! MENSWEAR IS IN THE WORKS! 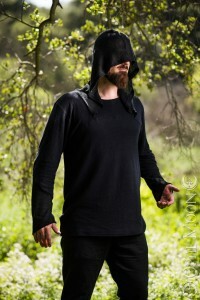 We have 2 new mens tops in stock, we just have a photo shoot to do then to update our shop with photos. Next up: we are currently designing pants and vests.. so the collection is a work in progress at the moment. Stay tuned in for more updates via Facebook and Instagram, so please be sure to follow us there! It was an honor to put my vision of OM: Spectrum into a short film format. After 5 years of dreaming this vision into reality, (with many, MANY thanks for the support and technical advice of my friend, film colleague, co-director, cinematographer and editor, Terry Zumalt who graciously has never left my side), it is no longer a fantasy. IT IS NOW VERY REAL, and I am very proud to share it online via Vimeo or YouTube. Looking back over the past 10 years of OM, I’ve been showcasing my work via still photography primarily, and thanks to my colleagues, friends, and family, I am able to feature my work in a most precious cinematic work. I hope this little glimpse into my world inspires the strength and beauty in YOU as you watch my heroine transform through the OM Spectrum. I cannot thank you all of you enough who helped me create this work of art as an expression of my soul . Whether a part of my creative crew or as a faithful customer, for your continued support and love, I bow down to you , and honor you all. Shot entirely on location in Malibu, CA. *All items are ready to ship! *They are now both in the design phase, and I desire to start production on both in January! 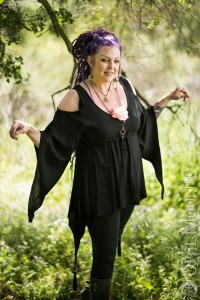 So, by shopping Opal Moon Designs this holiday for gifts and/or to treat yourself, would be in return, a gift to me! Thank you for your continued support after all these years. 2016 marks 11 years of independent business thanks to all of you! 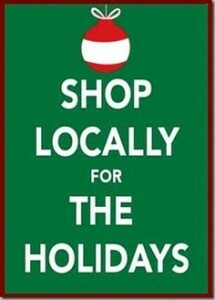 Support independent businesses and shop local for the holidays! I hope to see you in SF! I will have my latest *Holiday* collection with me alongside special deals on select designs + hood sets for that perfect gift! 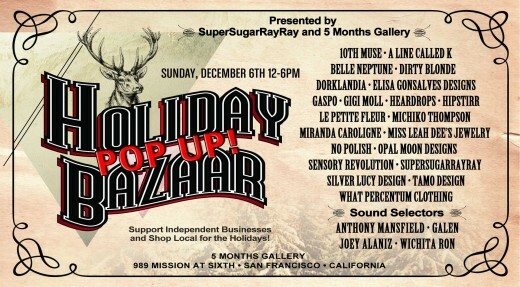 This one day event features 20 of San Francisco’s best designers, artist, craftspeople and djs. 5 months Gallery is a 3800 square foot pop-up gallery space donated by Burma Superstar Restaurants through March 2016 and this will be the first event at this new space! Delicious food available from Burma Superstar! “Tis the Season”.. my New *~Holiday 2015/Winter 2016~* Collection is now available in my shop! 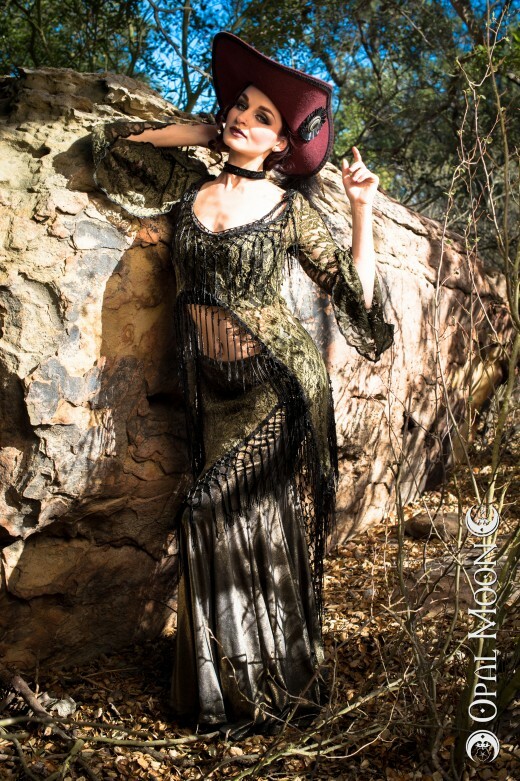 Inspired by the Victorian era fused with fairytales.. my new collection is luxurious and sultry. Fabrics range from textured velvets and laces to sleek faux leather and soft rayon knits. The combinations are definitely enchanting and yet, very versatile. I designed the collection to embellish YOU for your upcoming holiday party, or new years eve celebration. After that, use each piece for anytime, whether part of your Renaissance, Bellydance, or Masquerade costume, or more simply, for any day. Mostly all pieces are all handmade by me, start to finish: meaning: 1/design 2/patternmaking 3/fabric sourcing 4/cutting 5/sewing. I do have some help with cutting + sewing the production pieces in downtown LA (which are offered in sizes XS-XXL). ALL capes, willow sets & waist cinchers are made 100% by me in my studio: and therefore are offered only in “Limited Edition” quantities to ensure originality. I hope you enjoy this collection! It was one of my faves to create so far. Thank you to all my customers for your continued support, and for choosing to #ShopSmall this holiday season.